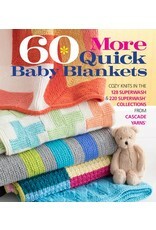 SP 60 More Quick Baby Blankets - Crochet Stores Inc.
Sixty more of the cutest baby blankets ever for you to knit! Knitters begged for more—and here they are! 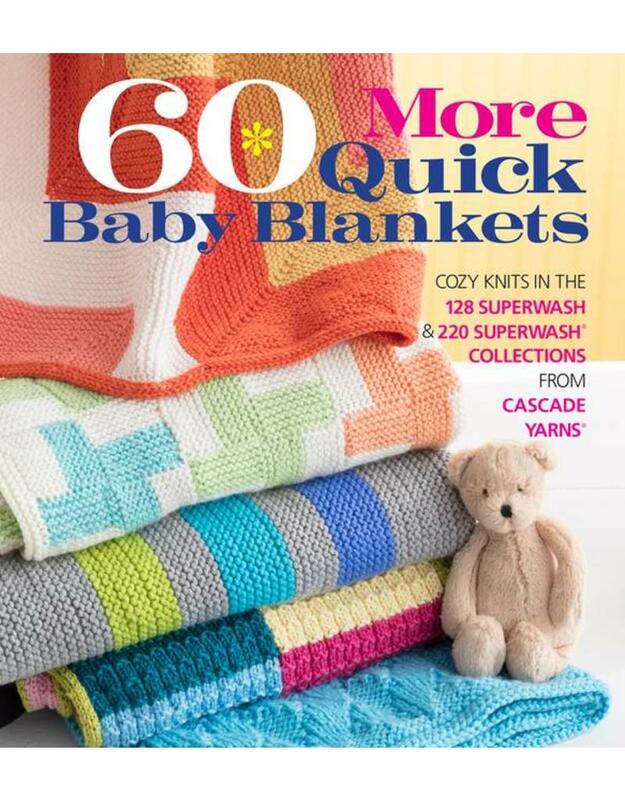 Following the incredible ongoing success of 60 Quick Baby Blankets, this collection has all the unrivaled quality and quantity that fans have come to expect. It features a range of techniques, from simple-yet-impressive knit/purl patterns to cabling, intarsia, and more, sure to entice knitters of every level. And the designs are absolutely, irresistibly adorable, including modern stripes and motifs, whimsical animals, whales in sailboats, and a cozy mermaid tail. Every blanket is made from soft, durable, and machine-washable Cascade Yarns' 128 and 220 Superwash wool, and will be loved for years to come.